AWARD WINNING- 007 Sean Connery James Bond Lookalike, Sir Sean Connery Celebrity Lookalike Look Alike Impersonator, He is tops in the celebrity lookalike field. His resemblance to the Hollywood legend has earned him the privilege to work along side of Sean as his Stand-in double. He has thrilled audiences with his appearances adding an elegance and sophistication expected from James Bond Celebrity Lookalike Look Alike Impersonator. Whether acting as Master of Ceremonies and recreating Sean’s famous voice while handing out awards or interacting with VIPs, His on stage ease and professionalism make every event special and memorable for all in attendance. Invite Sean Connery James Bond Lookalike to your event, he always makes a huge difference and a wonderful memory. He is ready to go and solve your missing entertainment problem. His resemblance to the Hollywood legend “Sean Connery” has earned him the privilege to work along side Sean as his Stand-in double. 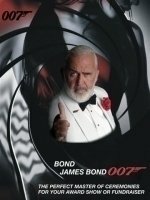 He has thrilled audiences with his appearances adding an elegance and sophistication expected from James Bond. Whether acting as Master of Ceremonies and recreating Sean Connery’s famous voice while handing out awards or interacting with VIPs, His on stage ease and professionalism make every event exciting and memorable. 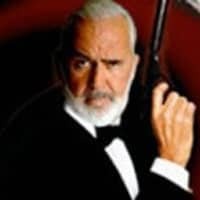 The most requested 007 Celebrity Lookalike Look Alike Impersonator- James Bond Celebrity Lookalike Look Alike Impersonator, Sir Sean Connery Celebrity Lookalike Look Alike Impersonator in the nation.